Have relatives coming to town for Thanksgiving? 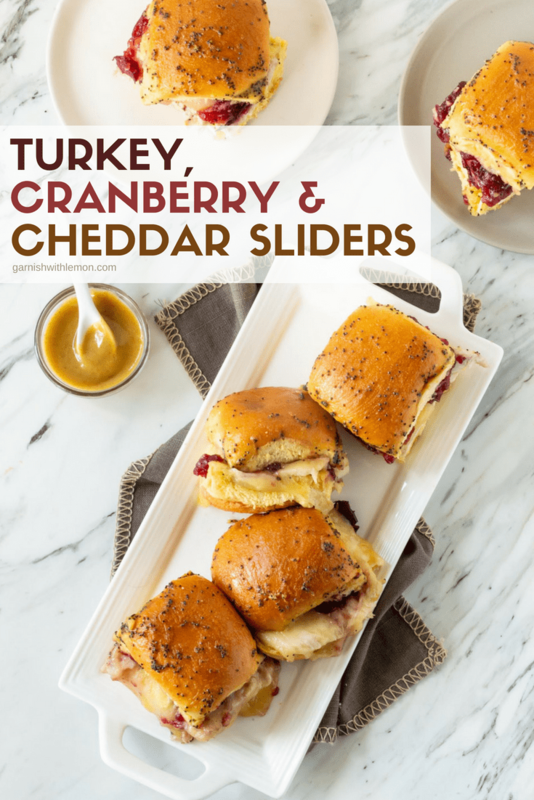 Make sure you have enough turkey leftover to make these Leftover Turkey Cheddar Sliders with Cranberry. You won’t regret it. 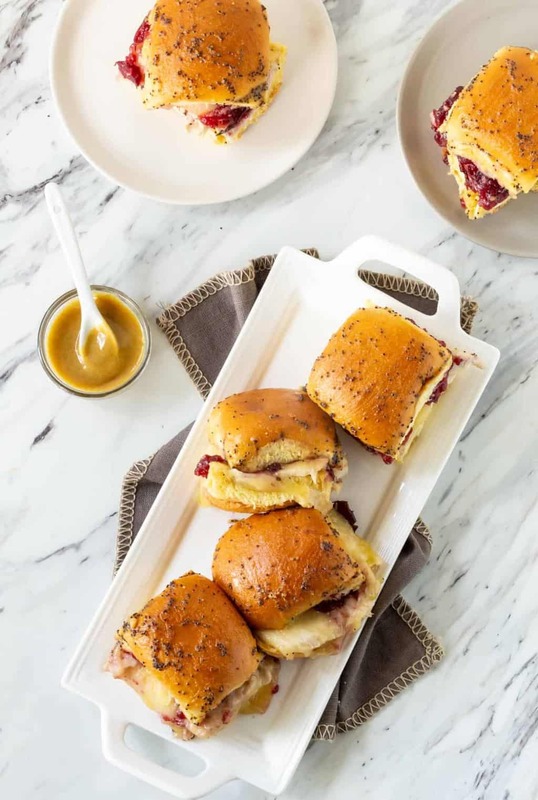 Thanksgiving is one of the few meals that I can’t wait to eat again and again, and these Leftover Turkey Cheddar Sliders with Cranberry are one of my favorite ways to do it. I mean how can you go wrong when you combine a honey mustard poppy seed dressing with roasted turkey, cranberry sauce and Kerrygold Cheddar Cheese slices? Simply put, you can’t. 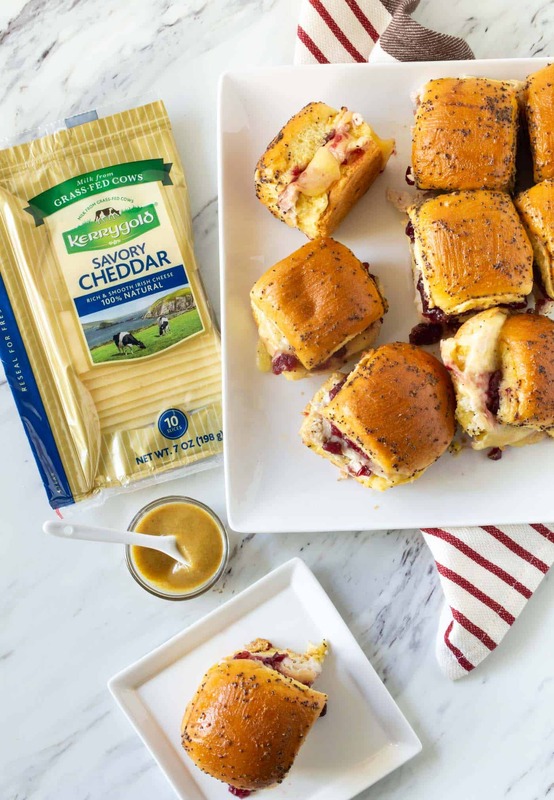 The cheddar cheese and cranberry sauce are perfect partners with the turkey, and the mustardy poppy seed dressing is a game changing condiment. Leftovers that don’t taste like leftovers are my favorite way to eat them. Can I make these sliders ahead of time? Yes, you can! I prep everything in advance but wait to slather the tops of the rolls with the dressing until right before baking so I don’t end up with soggy bread. I don’t have any leftover cranberry sauce. Is there a substitute? Simply grab a can of whole cranberry sauce at the grocery store and use that. We eat cranberry sauce more often that just the holidays. I also throw a couple bags of fresh cranberries in my freezer whenever they are in season so I can make cranberry sauce all winter long. These recipes are two of my favorites. What if I don’t have any leftover turkey? You can easily use deli meat instead. Or if you are lucky, our grocery store carries rotisserie turkey breasts. I pick one of those up, slice it, and it tastes just like leftovers. And it’s just an added bonus that I don’t have to do the dishes. Don’t stress about entertaining over the holidays, put your leftovers to work for you. These Leftover Turkey Sliders with Cranberry are ready to go in less than 30 minutes, feed a crowd with ease and best of all? No clean up. That’s the way to entertain with ease and confidence.